Huebsch® knows how seriously you take your business. That’s why we’re just as passionate about ours. 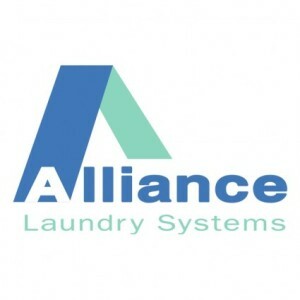 Alliance Laundry Equipment® is the world’s leading manufacturer of on-premises laundry equipment. We build our products for durable performance that exceeds the demands of the commercial market. We introduce innovations aimed specifically at reducing your costs and maximizing your throughput. Our products, built to provide laundry solutions to many industries of all types and sizes, are backed by one of the industry’s best warranty programs. And Huebsch Commercial Laundry offers customized, in-house financial solutions to help make world-class performance affordable for any budget. That’s how we deliver the industry’s lowest cost of ownership. And that’s why no one else is even close. ACE Commercial & Huebsch have the Answer. The more laundry you can do, the more money you can make. In the commercial laundry industry, throughput is the name of the game, and Huebsch has the tools to make it happen. Hard mount or soft mount, we have you covered. In this industry, you know performance when you see it. Huebsch offers a full line of commercial laundry equipment that delivers a high-quality wash for uniforms, towels and other sports equipment. Perfect for successful sports programs and athletic departments. For nearly 100 years, Huebsch Laundry has been focused on providing equipment and technology solutions specifically for the hotel on-premise laundry industry. Working closely with customers to identify and address key concerns while preserving costs & increasing throughput. Huebsch laundry equipment is expertly designed to help you provide clean, fresh linens to your residents while staying within your nursing home on-premises laundry budget and compliant with sanitation guidelines. The name Huebsch® is synonymous with top performing commercial tumble dryers. By balancing airflow and heat input, Huebsch commercial tumble dryers deliver fast drying without wasting energy. Huebsch washer/extractors with eBoost are no exception. eBoost is a revolutionary technology that greatly increases efficiency by optimizing water use, maximizing cleaning power and implementing advanced leak detection. More durable than ever, it will reduce your utility expenses and will provide a better laundry experience. For efficiency, reliability and ease of use, Huebsch is the answer. Are you ready for ACE Commercial to bid your project?